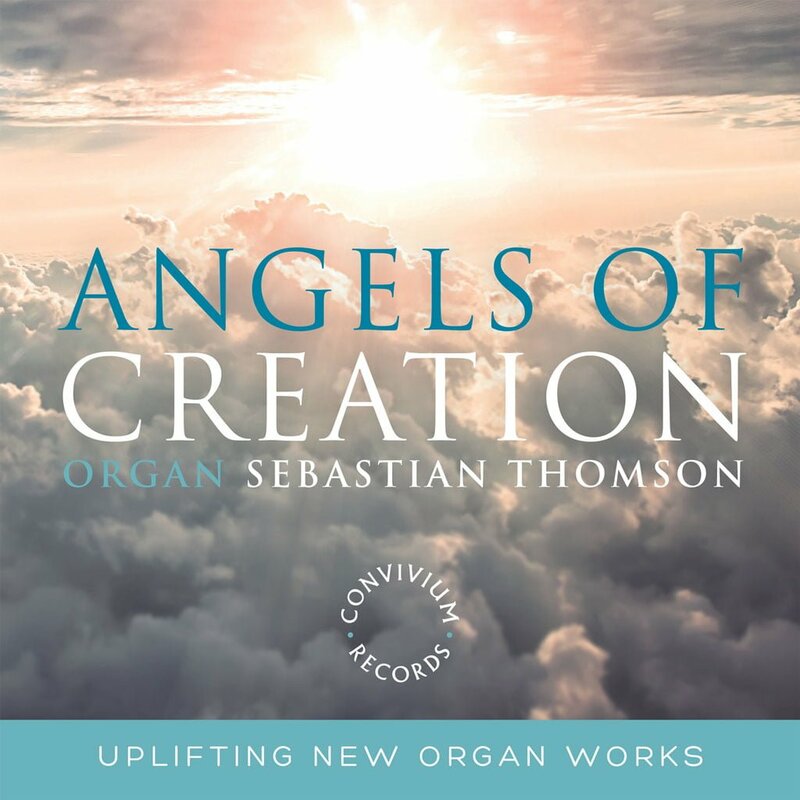 The Angels of Creation commissions are a collection of organ works composed for and premiered by Sebastian Thomson. The project’s inception began with David Bednall’s Rhapsody, which was premiered at St Paul’s Cathedral in 2010. All subsequent commissions—Simon Whalley’s Festal Paean, Thomas Hewitt Jones’ Angels of Creation (from which the title of the project originates), Neil Cox’s Laudate, and most recently, John Hosking’s Fourteen Stations of the Cross —have been premiered at Keble College, Oxford. Additional contemporary works by David Briggs and Philip Moore compliment this recording. 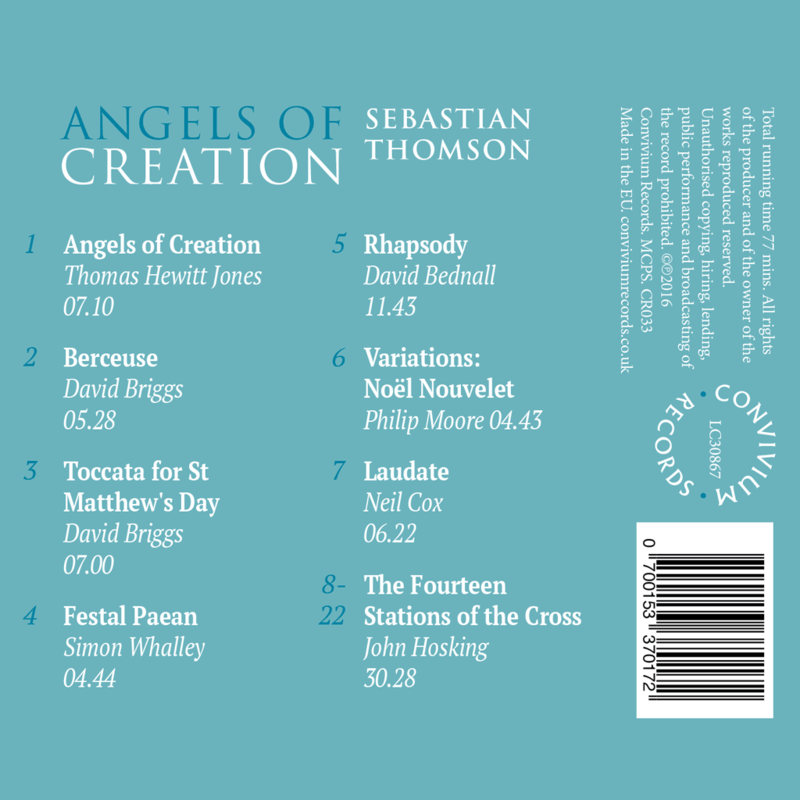 The Angels of Creation commissions are a collection of organ works composed for and premiered by Sebastian Thomson. My thanks go to Adaq Khan and Adrian Green for their complete professionalism throughout and faith in this project. I would also like to thank Benjamin Giddens for producing this CD and for the countless times he had to listen to takes on my behalf. This CD is dedicated to Andrew and Rosemary Thomson and Simon Whalley. Simon has been hugely influential and without his encouragement, The Angels of Creation commissioning project would not have started. 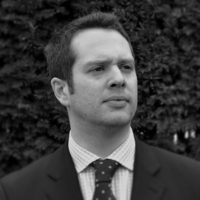 Sebastian Thomson was until recently, Head of Academic Music and Assistant Director of Music at Bloxham School. He was a chorister at Christ Church Cathedral, Oxford before moving to Harrow School with the top music scholarship. Sebastian studied at Bristol University before holding positions at Chichester Cathedral, St Matthew’s Church Northampton and Eton College. Currently, Sebastian continues to pursue a freelance career as a choral conductor and organist. Having studied the organ with David Goode and David Briggs, he is in demand as both a recitalist and an accompanist. His recent solo engagements include recitals at Westminster Abbey, Westminster Cathedral, King’s College Cambridge, and St Paul’s Cathedral. Sebastian has made appearances as a performer and speaker on local and national television and radio. He has also been invited to play at Notre Dame Cathedral, Paris, in 2017. Sebastian is a Fellow of the Royal College of Organists, and a prize winner in the Choral Training Diploma examination from the College. Sebastian is gaining a reputation for commissioning new works. The Angels of Creation Commissions are a collection of organ works composed for and premiered by Sebastian. So far, David Bednall, Simon Whalley, Thomas Hewitt Jones, Neil Cox, John Hosking and Daniel Saleeb have written for this project. His recent CD received a 5 star review in Choir and Organ publication.